OTTAWA’S BEST HYBRID SEO & PPC SERVICES! Meeting and exceeding performance requirements set forth by Google. Solid overall growth & revenue. A higher spend across managed accounts. Is your business in need of an SEO agency in Ottawa with a proven track record? You’ve come to the right place. BlueHat is your #1 SEO expert. You can’t trust your website to just anyone. BlueHat understands the needs of businesses in your area. We drive your business goals through online marketing strategies that connect you to the right audience and improve your visibility. 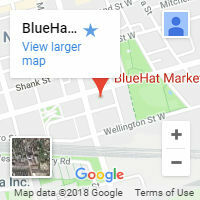 There are many SEO service providers in Ottawa that offer the same generic marketing services, but when you work with BlueHat, you know your business is in the trusted hands of the number one SEO service provider in Canada. Our goal is simple: to boost your website to the top of local search results. The top of the list is how your site will get more views and how you’ll get more calls and more customers. With our professional experience, resources, and knowledge, we’ll help you become number one in Ottawa. As a major Canadian city, Ottawa is an extremely competitive market. Flipping through your local Yellow Pages will show you just how many service providers our nation’s capital really has. And all these companies are vying for the number one spot on search engines like Google, Yahoo, and Bing. For instance, people in your area search for a “plumber in Ottawa” about 2,000 times a month and 50% of those queries don’t look further than the very top position. In other words, if you’re not at the top of the page, you may as well be on the last page. That’s where we work our magic. The goal of local SEO in Ottawa is to ensure your business website ranks highly on major search engines and that it stays in that position. When we say local we simply mean that we’re targeting your business using Ottawa-related keywords. Besides standard Google searches, Ottawa businesses also have to make sure they can be found on local listings like Google Maps and Places. The legitimacy of your business depends on your presence on these websites. It can be a difficult juggling act. But we know how to do it. 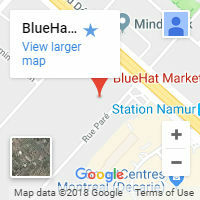 BlueHat Marketing is the number-one Ottawa SEO company with a proven track record for helping companies across all industries increase their traffic and sales. No other SEO agency in Ottawa can guarantee results like ours. Our digital marketing team members come from a diverse range of professional backgrounds to offer a complete and comprehensive online marketing service. We are innovators, designers, artists, and experts. Our multi-pronged approach to digital marketing makes us the obvious SEO agency in Ottawa to trust. We’re all about long-term solutions, not short-term gains. Let our Ottawa SEO experts show you how we can custom-design an SEO strategy to increase your traffic naturally, boost sales, and promote customer loyalty. 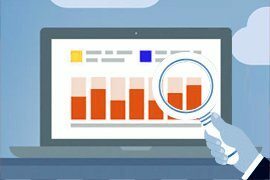 Is your current SEO campaign not giving your website the push it needs for dramatic improvements in your website’s analytics? 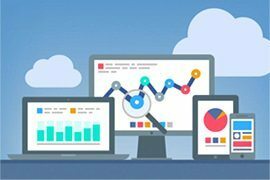 Contact us today for a FREE website analysis, and one of our Ottawa SEO experts will be happy to assess your current marketing strategy. Based on our findings, we’ll design a customized SEO campaign that will organically increase your website traffic and attract quality leads to your site. If your website just isn’t working for you, contact us right now! We’ll show you how our complete digital marketing suite can give your site the tools it needs to reach the top of search pages. Using leading technology and tools, we take the time to give your business a thorough assessment in order to analyze a develop a plan for your website while factoring in keywords, competition, and linkable assets. It’s all part of the plan for an effective marketing campaign. The foundation of your business’ success is a strategy that utilizes the best practices and industry standards. Every detail is thoroughly developed before we proceed with to the next level. 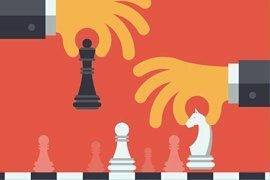 This is when we put our strategy into action. All our knowledge and experience is poured into this stage of marketing to help us make decisions that keep your business ahead of the curve. With real-time reporting and a user-friendly interface at your fingertips, you can monitor and follow our process. We like to empower our clients and keep them in the loop every step of the way. BlueHat’s goal is to develop an intelligent and actionable marketing campaign that will increase your leads, calls, and sales with the most effective SEO practices. We guarantee your phone will ring with new customers with call tracking software, call reporting, and local Ottawa listings. It’s simple: more traffic leads to more calls and more site visits, which leads to more dollar signs. Get a leg up on hot leads by capturing customer information on custom-designed landing pages. Relevant and targeted traffic is what we’re after. By targeting your key demographics, you’ll gain invaluable business insights. Our mission is to tailor each search engine optimization process to suit every business’ unique marketing needs. SEO is not a one-size-fits-all solution, nor should you ever settle for a “standard” package. 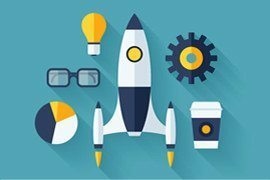 Understanding what tools to use and when is a major component of our success rate. We get to know every aspect of your business’ past marketing strategy, from your previous campaigns to your future goals and competitors. We compile everything we’ve learned about your business to define your marketing goals, which then helps us develop an online marketing campaign strategy tailored to your Ottawa business. Using our proprietary data collection tools, our team evaluates your business performance in real time and uses the feedback to improve. Using feedback from our comprehensive monitoring, we may make some subtle changes in our approach or use different tactics. Never shy of trying newer and better strategies, we will always use SEO tools that help your business get the most out of your search engine optimization budget at all times.